My little guy loves to give us presents. 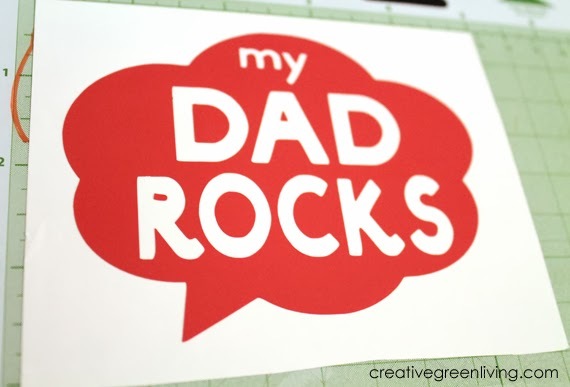 It's pretty common for him to come in from a walk with a rock or a flower for the parent who stayed behind. Over time, we've developed quite the rock collection and needed a place to keep them all. 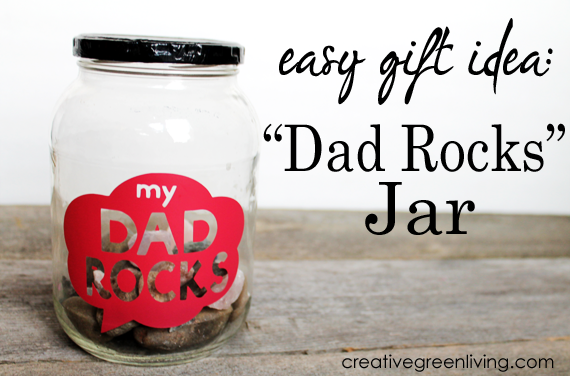 This Dad Rocks jar is a perfect Christmas gift for the Mom, Dad, Aunt or Grandparent always receiving stony presents from the kids in their lives. Plus it reminds them how awesome they are at the same time. Use the paint to give the lid a good coat of paint. Set aside to dry. I like the Martha Stewart Acrylic Paint because it sticks well to any surface including metal. I gave it 2 coats for good coverage. 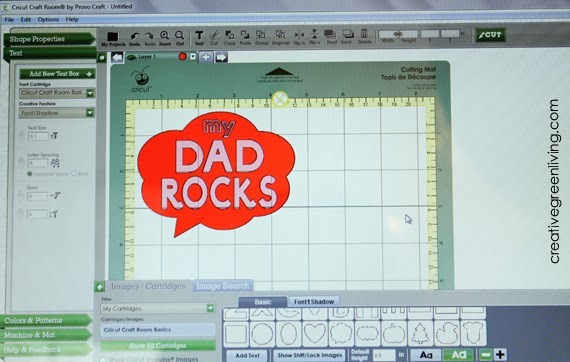 Open Cricut craft room (or whatever software came with your craft cutter). 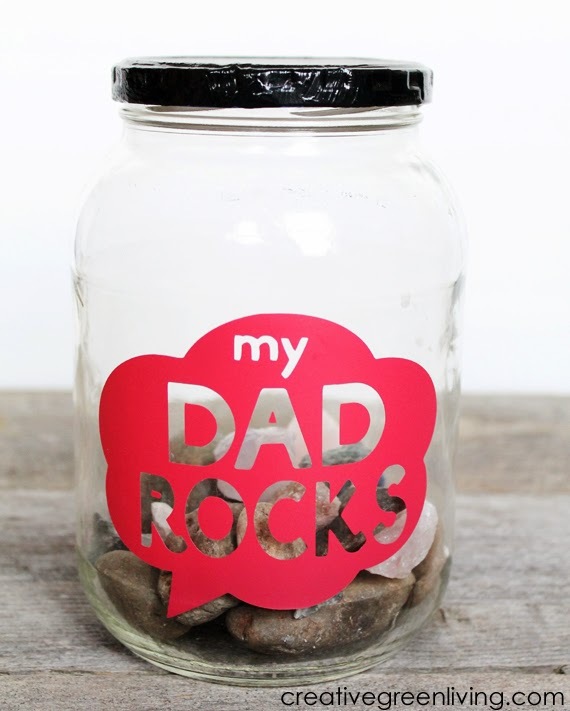 I made a speech bubble the size of the front of the jar and used fonts to write "my DAD ROCKS" inside. 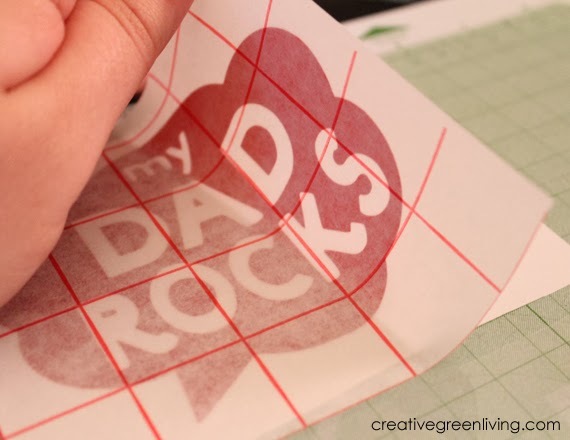 Put a piece of vinyl on your cutting mat. Tell your Cricut that you're using vinyl. Set the depth to 2, the pressure to 2, speed to 4 and cut once. Once the vinyl is cut, remove the pieces you don't want to have adhere to the glass. Be sure to leave the middles of the D, A, R and O. 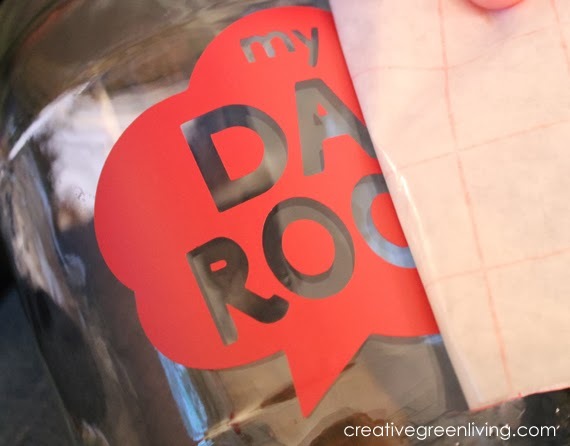 Cut a piece of transfer tape to size and lay it over the vinyl. 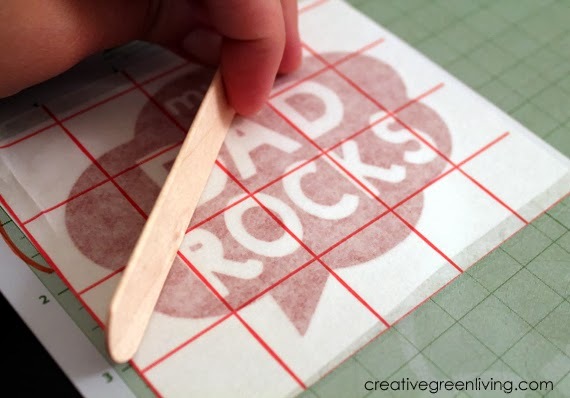 Use a popsicle stick or credit card to smooth it out so it is bubble free. Peel the transfer tape off the backing (the vinyl will come up with the tape). 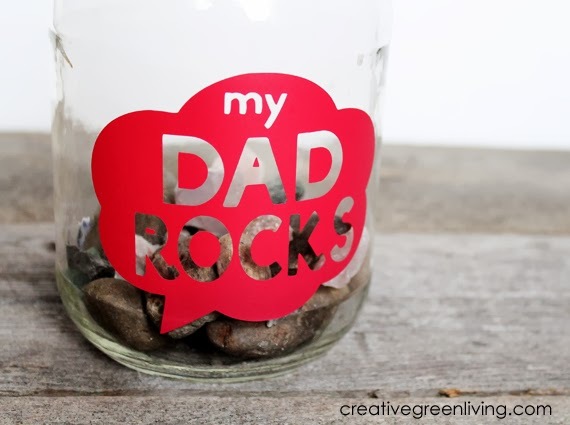 Center the vinyl and transfer tape on the jar. Press down and smooth out using the popsicle stick or credit card again. Once everything is perfectly in place, peel up the trasfer tape leaving behind the vinyl.